The Great Online Shopping Festival (GOSF) 2016 is happening from 25 to 27 April 2016! 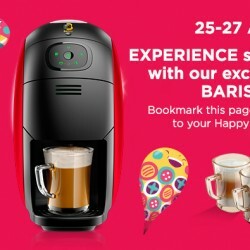 Check out Nescafe's special offers now! Spot something you like, then simply add it to your Happy List and be one of the first to snap it up on the 25th April.